Though well past his prime, the one-time RBI champ has been either around or above league average offensively every year of his career, and carries some surprisingly consistent power; Granderson has hit 20 or more home runs in every full season of his career but one (2006, where he hit 19). 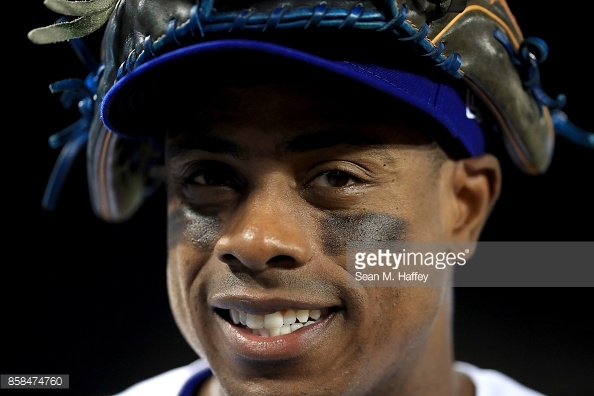 Despite his age, Granderson has also had excellent health, playing in at least 135 games in 9 of his past 10 seasons. The defensive numbers have been less kind to Granderson, though he has never been known as a defensive standout. Over 2017, Granderson fielded in the negative by both DRS and UZR, placing him 36th and 38th, respectively, out of 56 qualified outfielders (which is still not all that bad, really). However, he has spent the lion's share of last season (and most of his career) in centre field - a trend you can expect to change with the recently re-signed Kevin Pillar expected to reprise his role in the middle of the outfield. The defensive stats are much more favourable when only his time in right field is considered, a position he is much more likely to play with the Blue Jays. Granderson's track record suggests the Jays have just signed a player who is at worst a dependable league average player capable of playing anywhere in the outfield, and at best someone with the potential to be even better. His age is likely the biggest red flag; we've seen all too well what can happen to a star outfielder at age 37. But Granderson's years haven't caught up to him yet, and at only one year and $5 million, it's hard not to like this deal for Toronto.